Therapy is one of the best forms of treating vestibular disorders as it is non-medicinal. Medicine tends to have some side effects and may be the introduction of toxins into the body. Therapy involves exercises that improve a situation while rendering a permanent solution to the problem. 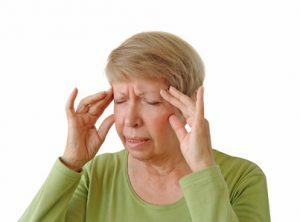 Vestibular disorders happen in the inner ear and may cause the patient to experience balance problems such as dizziness. Such a feeling may cause the patient to feel like they are going to fall down whether they are standing, sitting or lying down. Symptoms of secondary vestibular disorders include brain fatigue, depression, nausea, and vomiting. Physical therapists at Summit Physical Therapy use a treatment technique called Vestibular Rehabilitation Therapy (VRT). VRT is the best form of treatment for handling both primary and secondary symptoms. Vestibular damage is pretty much irreversible but VRT assists in helping the system with a coping mechanism. For senses that have already been damaged, VRT helps them to be compensated with other senses as the brain learns to use these other senses. Physical therapy at Summit Physical Therapy knows that sense compensation may take longer times if they are to occur naturally. This is why they strive to use VRT in enhancing and fast racking sense compensation. VRT exercise will also help improve balance and reduce problems that come with vestibular disorders. Visit Summit Physical Therapy and take part in visiting a physical therapist in Follansbee, WV who would give you the correct diagnosis just in case you think you have a vestibular disorder.